AJA Network services can prevent this happening to you! Since the 1st October 2008, your company could face a considerable fine for not ensuring all its business emails contain specific information. This must be presented in a clear and legible manner. Although many companies add signatures, Confidentiality notices and Disclaimers to their emails, these are often inconsistent between users and when new people join this is an important task easily forgotten. For larger Businesses how long would it take to do all this on all the company PC's and how would they ensure it's included in every E-mail? In an age where company personnel will send emails from a range of different sources including Office mail, Web mail, or a portable handheld device the chances of a single email slipping through the net is even greater. Unfortunately one improperly disclaimed email is all it could take to land your company a significant fine. Thankfully there is a simple, cost effective way to ensure all your business emails remain legal. It is not dependent on individual users and doesn't have any time implication at all. AJA Network Services recommend 'Exclaimer' software, which can be installed onto your server and will automatically add the vital business information to each and every outgoing email. 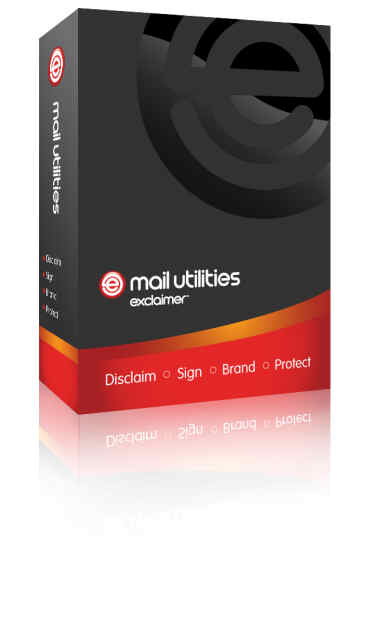 Wherever your company email is sent from, Exclaimer will ensure your business stays legal. With Software from only £99.